Dharma | Wind 155 is a 50' fast cruiser designed to suit both the comfort required for weekend cruising and the speed needed for a racing with minimum crew required. With innovative design solutions, Wind 155 can plane at low wind speed. The stable sections also increase helm control and safety. The position of the shrouds on the hull edge allows a clear and safe passage from bow to stern. ​Dharma | Wind 155 interiors are focused to be minimal, comfortable, cozy and modern. Offered in several finishings, the interiors rapresent how the style and the pleasure of living on board can be combined with the functionality required to spend long period at sea. 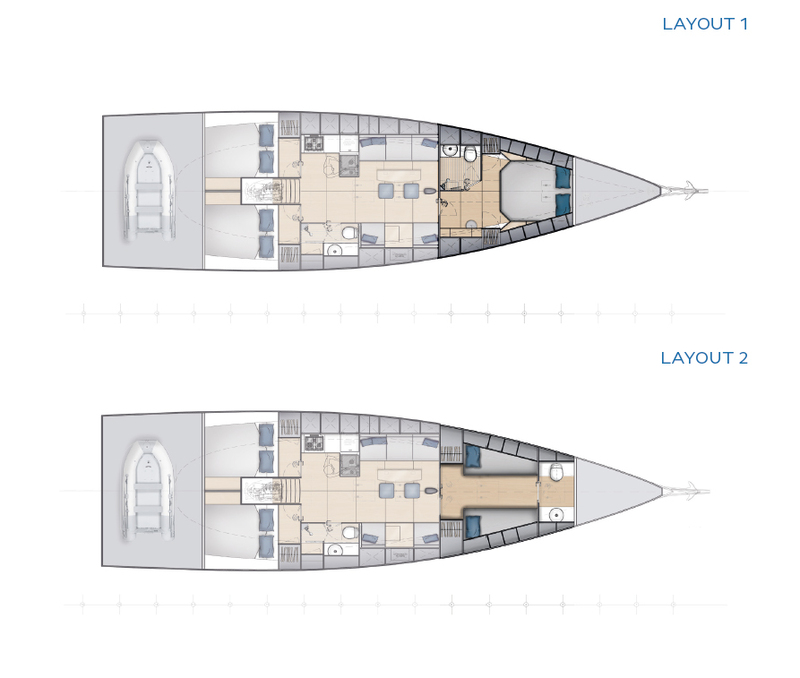 Two different layouts, cruiser and racer, ensure great versatility and are both oriented in making the space wider, brighter and open. Dharma | Wind 155 has a wide tender garage. the door, the biggest in her category, can be quickly converted into a platform to access the sea. On board, we wanted the owner to feel like at home, that's the reason why we designed Wind 155 with a complete infotainment system. 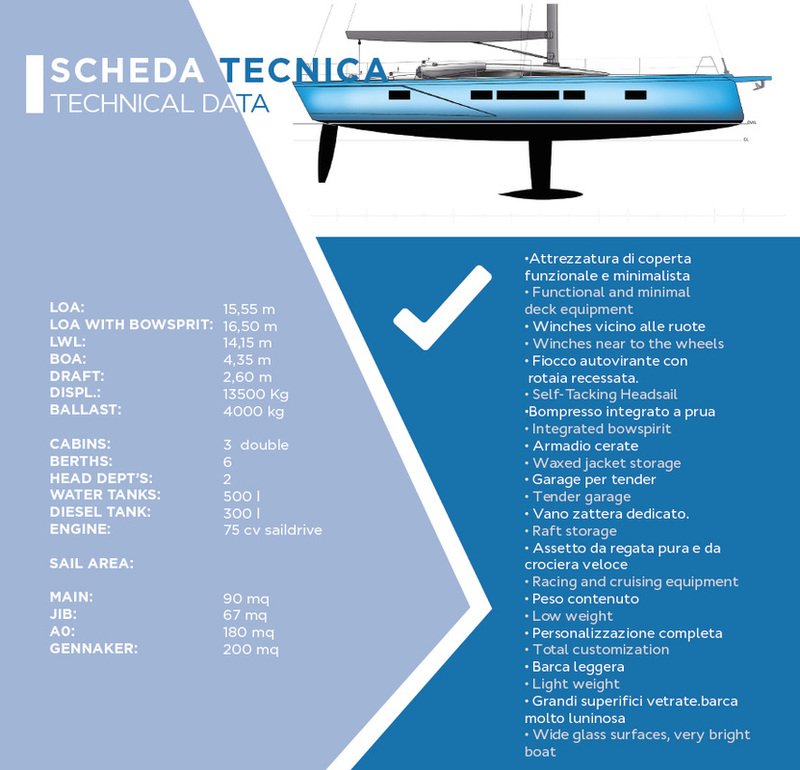 finally, our yacht is engineered to be built with high-performance epoxy resin and carbon fiber, like the mast. Performance and efficiency are the keywords. 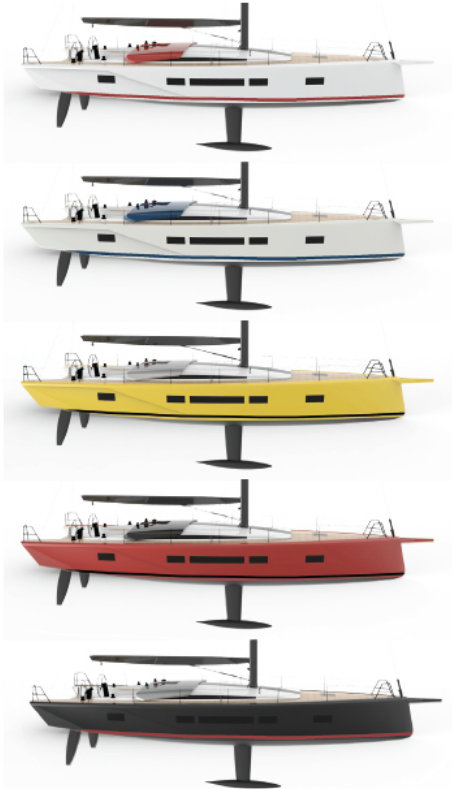 Make the boat unic, by choosing one of the possible combinations of color for the hull, the top, and the wood essence. Dharma | Wind 155 can be customized according to your desire.